Our IT Department - IT Support Case Studies and Customer Stories. Our IT Department Customer Stories, Case Studies and Business Cases. 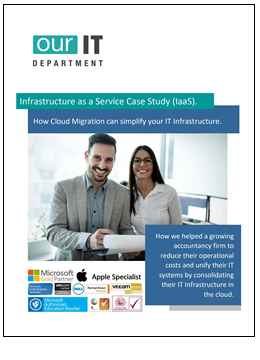 This selection of hand-picked Case Studies demonstrates how our customers continue to benefit from our Award Winning IT Support services and solutions. 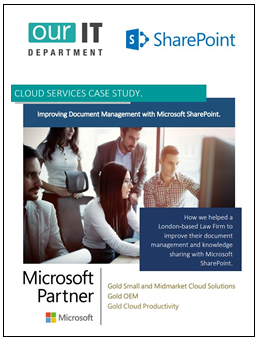 Click here to find out how we helped a London-based Law firm to improve their document management and knowledge sharing with Microsoft SharePoint. 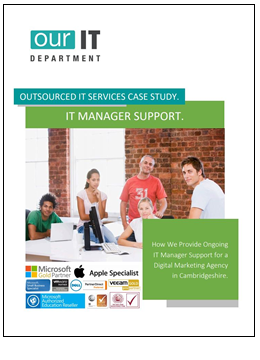 Click here to find out how we continue to provide ongoing IT Manager support for a digital agency in Cambridgeshire. Click here to find out how we helped a growing accountancy firm reduce their operating costs and unify their IT systems by consolidating their IT into the cloud. Migration to Skype for Business. 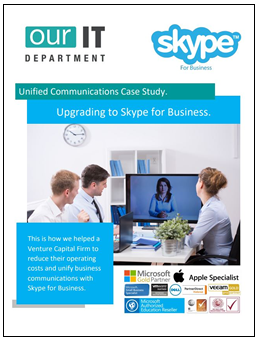 Click here to find out how we helped a Venture Capital Firm to reduce their costs and unify business communications. Network Connectivity Audit & Upgrade. 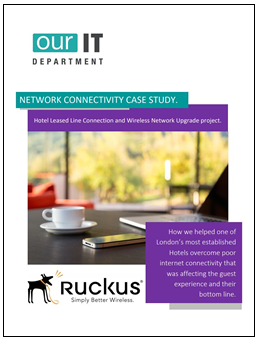 Click here to find out how we helped one of London’s most established Hotels overcome poor connectivity that was affecting their bottom line. 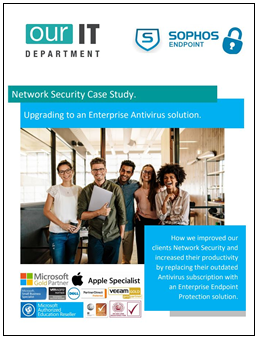 Click here to find our how we improved our clients Network Security and increased their productivity with Enterprise Endpoint Protection solution. 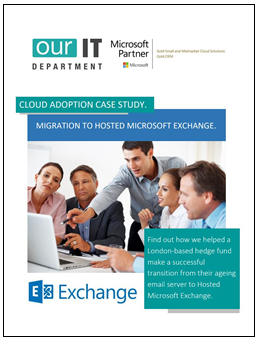 Click here to find out how we Helped a Hedge Fund make the successful transition from their ageing Email Server to Hosted Microsoft Exchange. 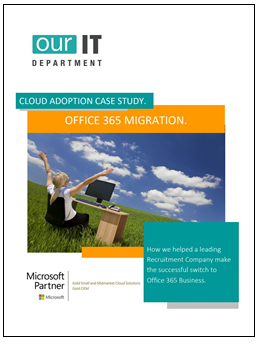 Click here to find out how we helped a leading recruitment company make the successful transition to Office 365. 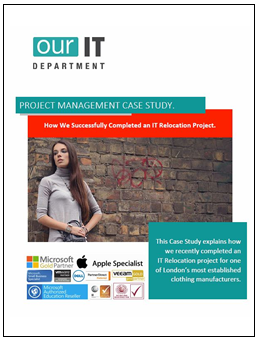 Click here to find out how we recently completed an IT Relocation project for one of London’s most established Clothing Manufacturers. 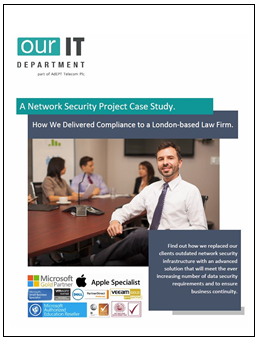 Click here to find out how we replaced our clients outdated Network Security Infrastructure with a highly advanced solution. 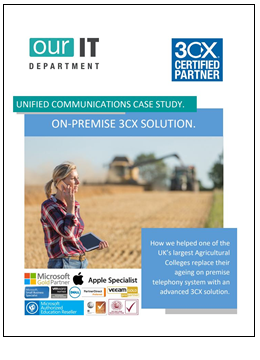 Click here to find out how helped one of the UK’s largest Agricultural Colleges replace their ageing on-premise telephony system with an advanced 3CX Solution. 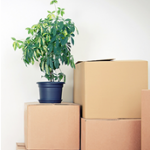 Unhappy with your existing IT Support service? If the answer is YES then complete the form below and take the first step towards upgrading to a PREMIUM IT Services provider. “We have been with Our IT Department for over 10 years and I would highly recommend them as a complete IT solutions partner. We’ve expanded with offices in London and Europe and as our demands increased I can honestly vouch that no issue has been too small or unresolvable.” Harsha Vyas, Stanmore Implants.